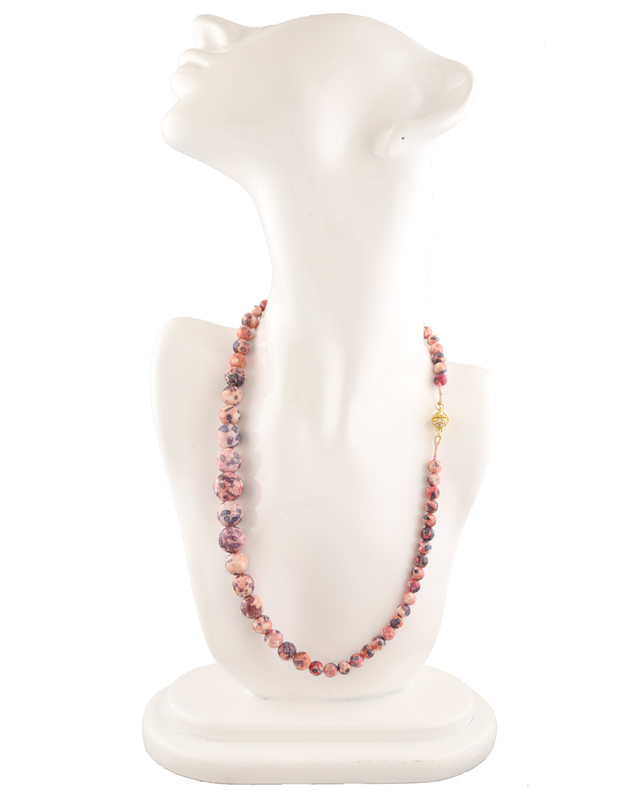 Be always in trend by adorning stylish beaded mala with your designer costumes. 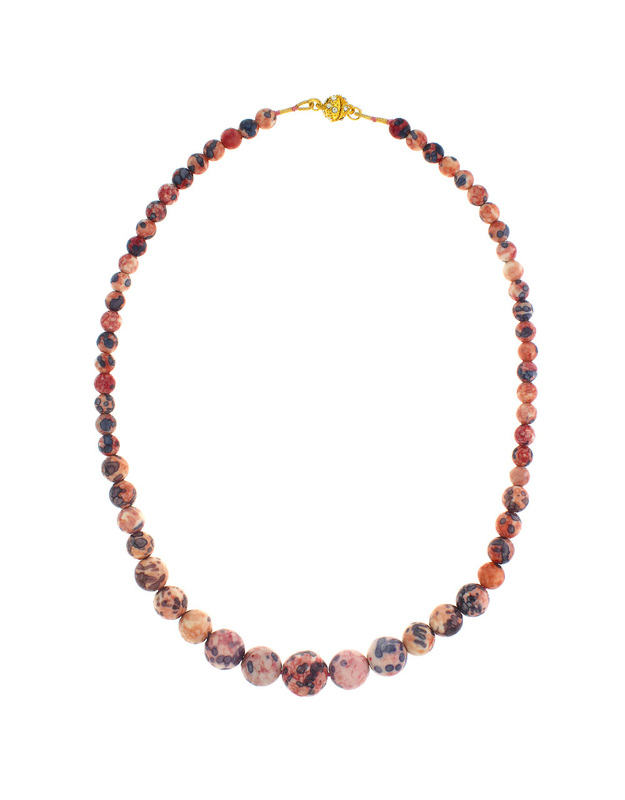 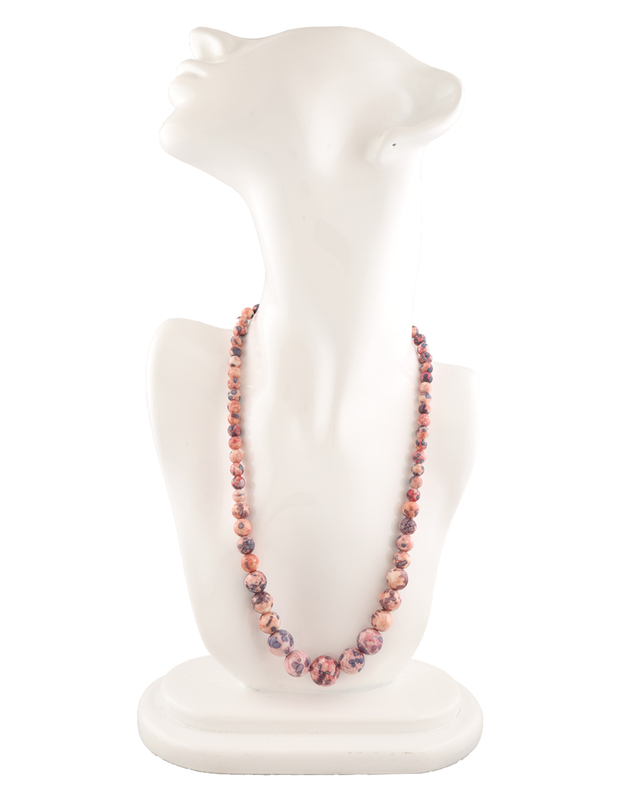 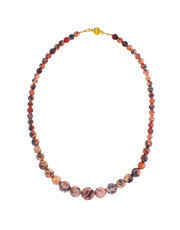 This peach colour shaded beads mala is high in quality and will be your fashion companion for many years. 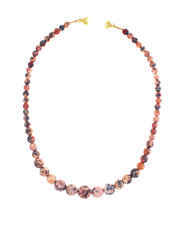 It is easy to wear and has golden magnetic lock.